The Mausoleum of Hadrian, usually known as Castel Sant’Angelo (Castle of the Holy Angel) has a grand view and impressive history. During its long existence, built at the dawn of Christianity on the banks of the Tiber, the cylindrical mausoleum was the last refuge for the Roman emperor, residence of pontiffs, fortress, then prison, and later – the museum and treasury. The tomb of Emperor Hadrian Publius was erected on the high bank of the river in about 139 AD. The original mausoleum had a form of a cylinder and was richly decorated. A flat roof of the building featured an ornamental garden in the center of which a gilded quadriga was set. In 138, the emperor’s ashes were placed in the tomb, together with his wife Sabine and adopted son urns. Also, on Hadrian’s order, Ponte Sant’Angelo (Bridge of Hadrian) leading from the center of Rome to the tomb was built. By the 5th century AD, Hadrian’s mausoleum had lost its former luster and solemnity as was gradually transformed into a military fortress. During the invasion of Goths, most of the bronze ornaments, urns and statues have been stolen or destroyed. There is a legend which says that the Archangel Michael appeared above the mausoleum putting his sword back into the sheath. Thus, the end of the plague in 590 AD was marked. To celebrate this, the tomb was given its present name. Another interesting fact: in Italy and in many other European countries, a man who had just sneezed is said “God bless you!”. In the Middle Ages, it was believed that the plague began with sneezing attacks. And only God could help the plague ill person! 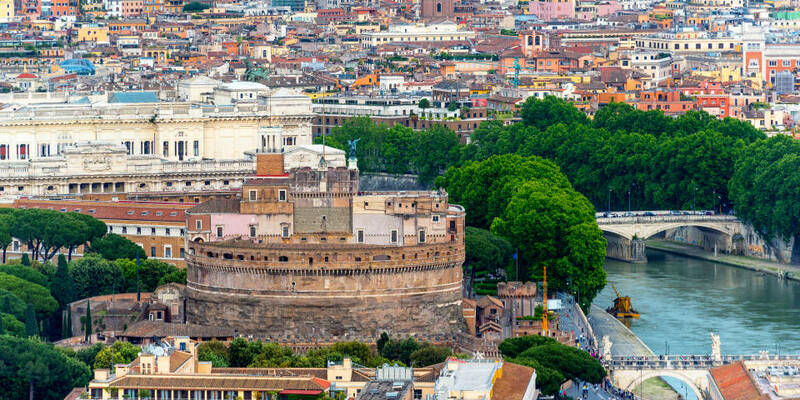 By the 14th century, Castel Sant’Angelo in Rome turned into the residence of popes. Nicolaus III connected the castle to St. Peter’s Basilica (Italian: Basilica Papale di San Pietro in Vaticano) by a covered corridor called Passetto di Borgo. During the invasion of Charles V’s army in 1527 in Rome, Pope Clement VII found a refuge in the castle. The inhabitants of the besieged fort actively attacked the enemies through the slit windows. Famous sculptor-goldsmith Benvenuto Cellini was one those glorious defenders. A little later, comfortable apartments ordered by the pontificate appeared on the territory of the mausoleum in case if the story of the siege would repeat. Unfortunately, the castle also served as a prison for some time. 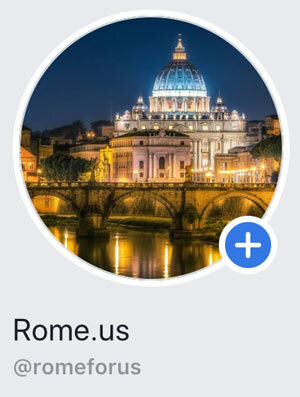 For example, famous medieval scientist, astrologer and Dominican monk Giordano Bruno had been confined within the walls of Castel Sant’Angelo for 6 years! It is remarkable that later one of the defenders of the fort, Benvenuto Cellini, fell into disgrace of the pontificate and went to prison too. Nimble and skilful sculptor Cellini even managed to escape from the castle. 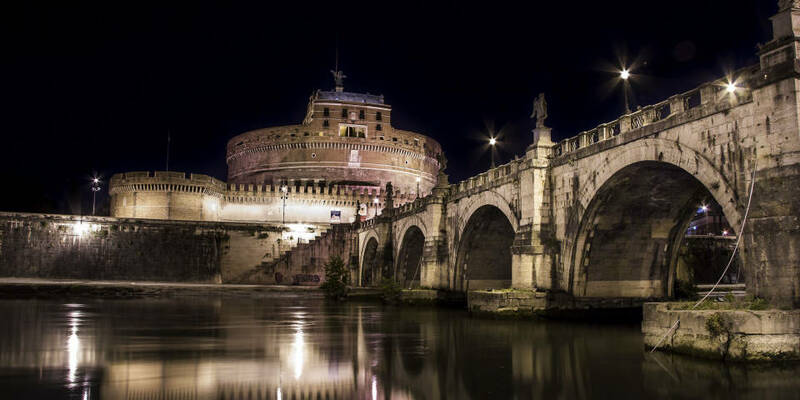 Since 1901, Castel Sant’Angelo has been officially declared a national museum (Museo Nazionale di Castel Sant’Angelo). The main architectural ensemble of Castel Sant’Angelo was formed long ago, during the reign of Emperor Hadrian. Powerful cubic foundation was faced with expensive marble. On the top of the pedestal, there was a “washer” of the mausoleum, made of volcanic stone. Outside, the building was faced with travertine and decorated with carved pilasters in the form of oxen’s heads (Bucrani). The tomb was surrounded by a wall which served as a decoration as well as a fortification. Nowadays, the castle looks much more modest than it was under Hadrian. Travertine, marble, pilasters and bronze were lost in the centuries. However, the external structure of the mausoleum has remained almost unchanged in contrast to the internal one. Ancient tombs where the Emperor and his family, Antonius Pius, Marcus Antonius and their nobles rested were vey damaged. Urns with the ashes were lost. In the 14th century, the mausoleum has been turned into a fortress. 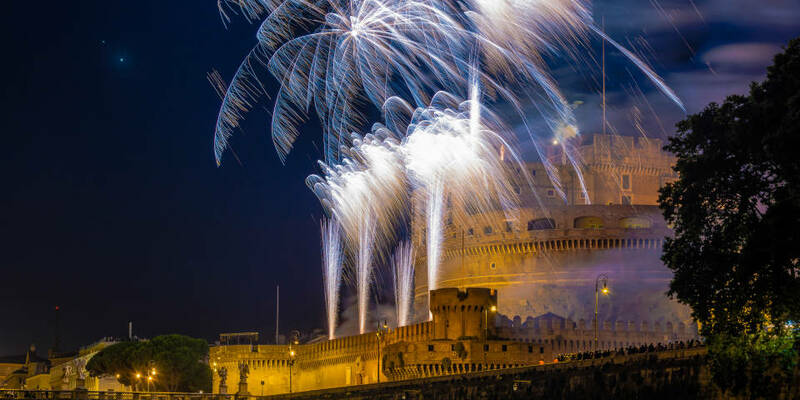 Pope Boniface IX (Latin: Bonifacio IX) ordered the architect, Niccolo Lamberti, to strengthen the castle walls, equip bastions and create the only entry in the form of a drawbridge. In the building itself, a new premise – St. Michael’s Chapel (Italian: Cappella San Michele Arcangelo) – appeared. In the 15th century, at the words of Pope Alessandro VI of the house of Borgia, architect Antonio Giamberti da Sangallo had to turn the castle into a real stronghold for battle. The castle was fortified with four bastions and a ditch around the buildings. The fortress also had papal apartments which featured frescoes from famous Pinturicchio. A new palace of Alessandro VI was used for luxurious receptions and celebrations. In 1536, Raffaello da Montelupo had created a statue of the Archangel Michael with a sword. The marble saint with bronze wings reminds the Romans of the events described in the legend and protects the castle. In the 17th century, in the castle, an Angel’s Patio appeared where de Montelupo’s Archangel has found its place. In the second half of the 17th century, Urbano VIII destroyed the majority of military and decorative buildings of 15-16th centuries to create a new version of the fort with a strong defensive wall and fortifications. 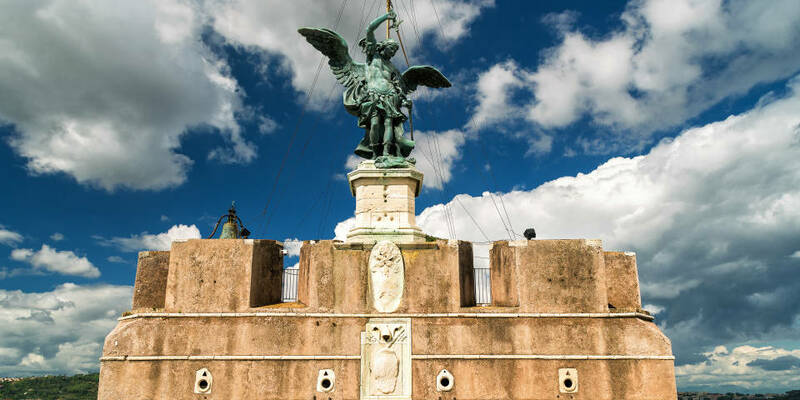 In 1667, they began to decorate Ponte Sant’Angelo, leading to the castle, with the statues of angels. Giovanni Lorenzo Bernini and his students have spent about two years to complete 10 Baroque style sculptures, which guard the bridge up to today. In the 18th century, not stone, but bronze Archangel Michael saw the world. The work of Flemish sculptor Peter Anton von Verschaffelt still adorns the roof of the castle. Patio of the Saviour, workshops of Boniface XI, the courtyard which previously served as the place for the execution of convicts, the Holy Cross Chapel, which served for the last prayer of the prisoners condemned to death, a Roman atrium (an ancient arch leading to the tomb of Hadrian) and spiral descending way to the tomb. Corridor and a hall in which the ashes of the emperor and his family were kept, prison premises, created in the 16th century larders for grain and products, premises for storing oil – a universal remedy in case of siege. Angel’s Patio, Hall of Clement III with beautiful fireplace and daintily carved door, courtroom, which is decorated with medieval cannons and kernels and a part of the fresco depicting an angel on the wall, Apollo Hall, which has served pontiffs as a place for respectable entertainments, Chapel of Saint Cosmas and Damian (Capella dei SS. Cosma e Damiano), Hall of Clement VII, patio of Alexander VI with a well, patio and the chapel of Leo X, beautifully designed bathhouse of Clement VII by Giovanni da Udine. Covered gallery, where, in the Middle Ages, pilgrims made their march for a meeting with the Pope, rooms of Pius IV, loggia of Julius II with views of the city and the Elio bridge which is attributed to the works of Giuliano da Sangallo, a vast arsenal containing a collection of weapons and military uniforms of the 15-20th centuries, loggia of Paul III located on the opposite side of the loggia of Julius II (overlooking Via Flaminia), Pauline Hall – part of the most richly adorned apartments of Paul III Farnese, Perseus Hall, which being decorated thematically on the base of the same legend, continues the theme of mythology of Cupid and Psyche Halls. Treasury – a round room consisting of 15-16th centuries wealth of the pontificate, library, initiated by Paul III, Halls of Hadrian and Garlands, richly decorated with frescoes of the 16th century, triple rooms, named Cagliostra which once served as apartments for Count Cagliostro himself, Pompeiano corridor with intricate ceiling paintings, located between the library and Apollo Hall, and the 18th century room of the castle keeper. Round Hall, the Hall of Columns, built and decorated with marble columns on the order of Benedict XIV, which currently is a repository for the banners of the Italian foot troops. Walking through Round Hall, you can get to the Terrace of Angel (Italian: Terrazzo dell’Angelo) which offers an unforgettable view of whole Rome. Bus: № 62, 40, 23, 271, 982, 280 (bus stop: Piazza Pia), №34 (bus stop: via di Porta Castello), №49, 87, 926, 990 (bus stop: intersection of Piazza Cavour and via Crescenzio), №46, 64 (bus stop: Santo Spirito ). Opening hours: Tue – Sun: from 9:00 a.m. till 07:30 p.m.; Closed: Mondays, December 25, January 1. The ticket office is closed at 06:30 p.m. Ticket price: 10.5 euro, reduced-fare ticket: 7.5 euro. For groups of more than 20 people, booking in the amount of 1 euro per visitor is provided. Also, it is free of charge to visit the museum in Castel Sant’Angelo on the first Sunday of every month.